Built Up Area : 4.3 lakhs Sq. 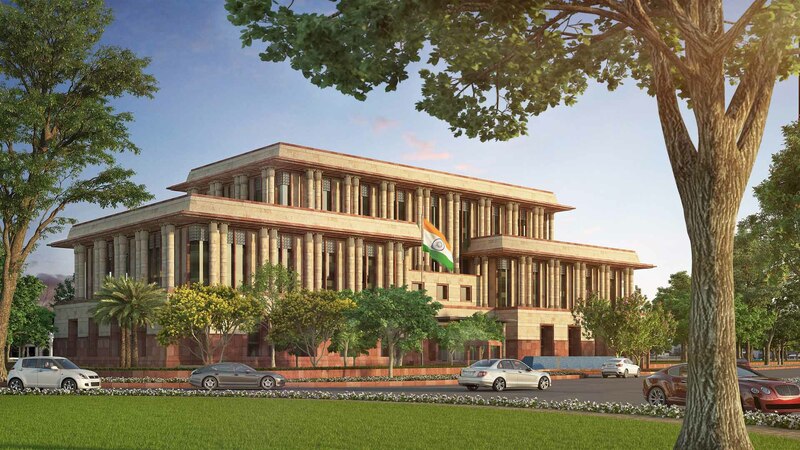 Ft.
Vanijya Bhawan is going to be the new office of the Department of Commerce. 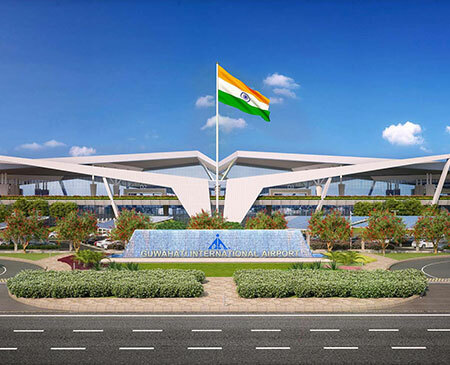 It is being built on 16 A Akbar Road on a plot of 4.38 acres. 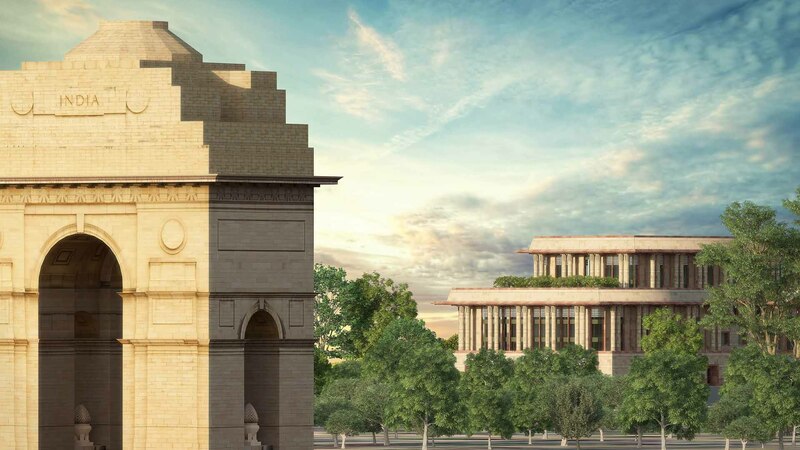 Rajpath greens bound the plot on the north side, Man Singh Road on the west side, Akbar Road on the south side and India Gate Hexagon on the east side. 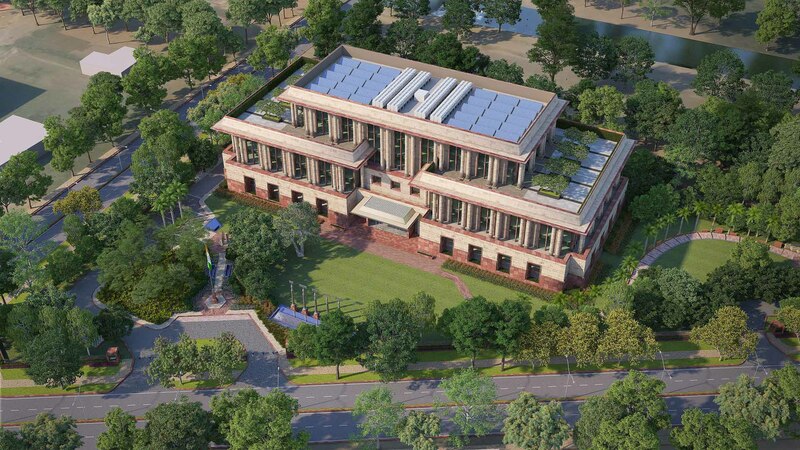 Vanijya Bhawan is designed according to the Architecture of Lutyen’s New Delhi, using materials like Dholpur and Agra sandstones. Grand stone columns like the ones in Rashtrapati Bhawan have been used to create a grand building. 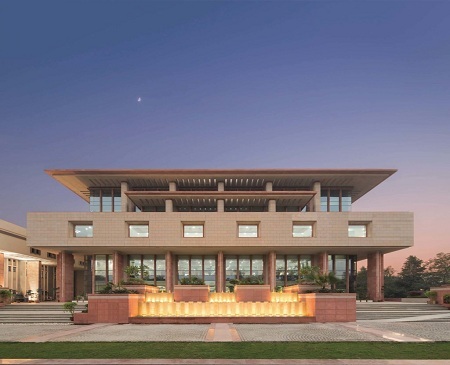 It has been designed as a Green building with 4-star GRIHA rating. 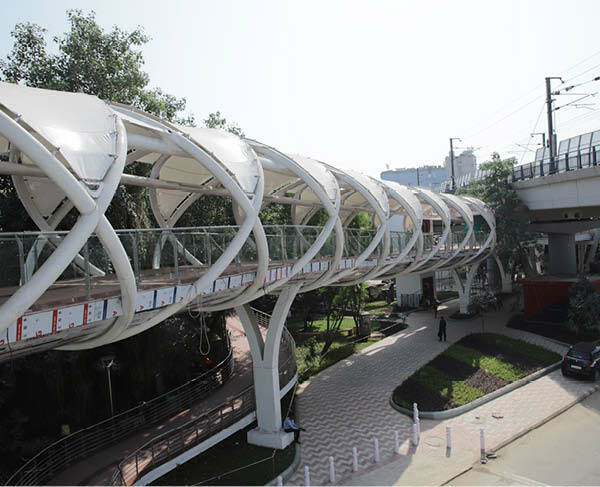 It is also designed for Universal accessibility so physically disadvantaged persons can navigate and use the premises conveniently. The requirements for confidentiality and high security have also been addressed in the design. 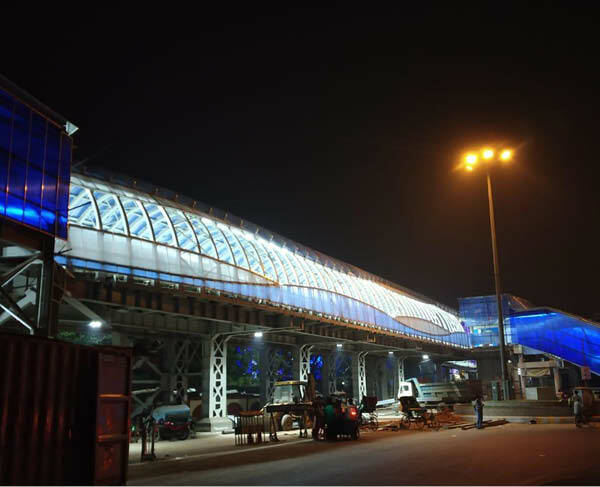 Modern construction technologies of steel structure and post tension slabs will be used to complete construction in a record time of 18 months. 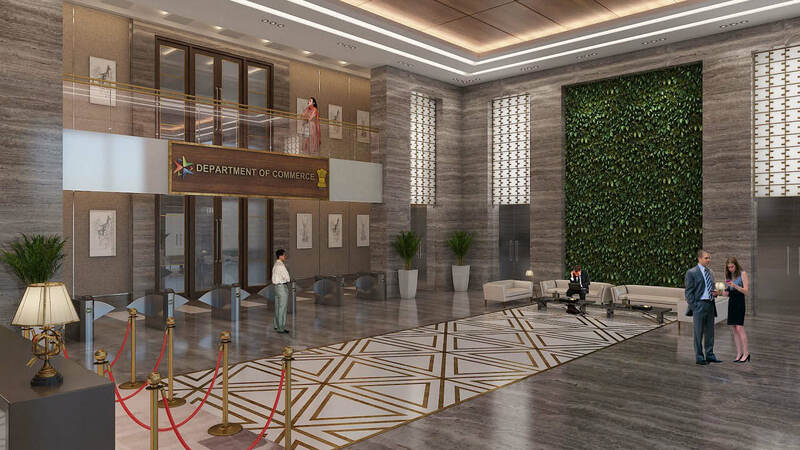 Facilities: This building shall house the offices of the Ministers of Commerce, Secretary’s office and accommodate approximately 1800 to 2000 officers. 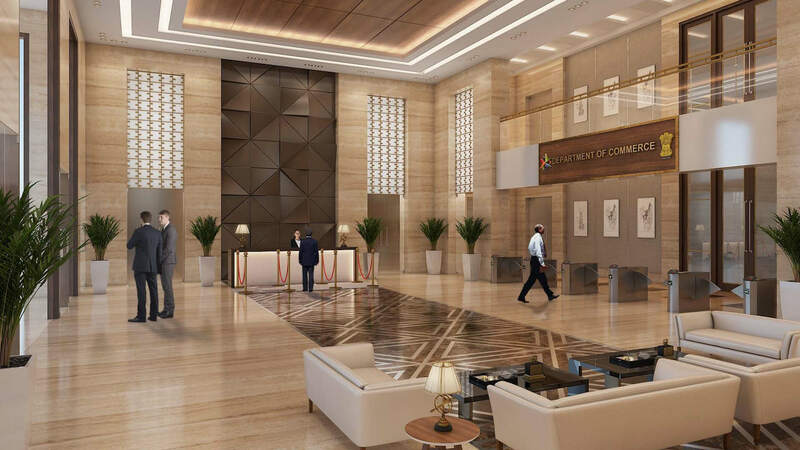 Well laid out facilities for Delegations of 150 people, Meeting Lounges, Meeting room for 60, 30, 16 people have been provided in the eastern wing on the ground floor. 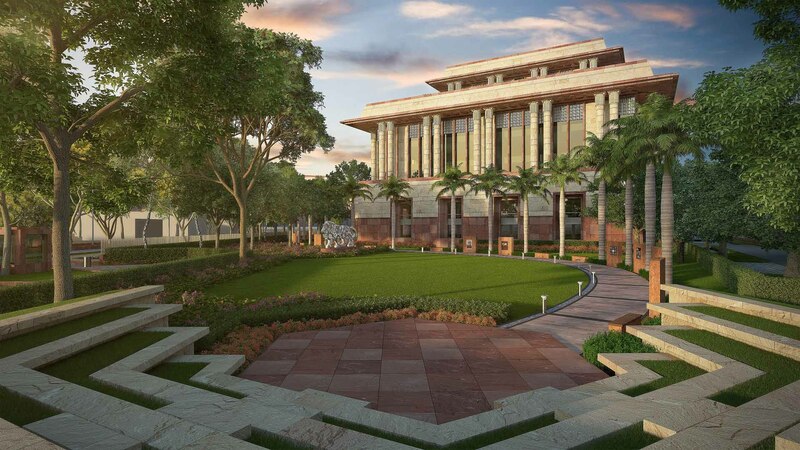 This Mini Convention facility opens on to a refreshment zone which in turn opens on to a Ceremonial lawn for delegation recreation. A small Amphitheatre of 100 persons is also attached for presenting Cultural performances to Foreign Commerce Delegations. 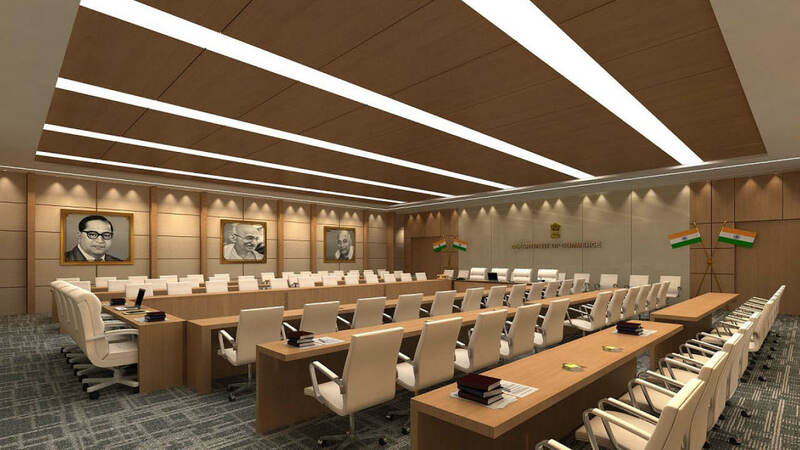 A Summit room of 100 persons has also been planned on the top floor. It opens onto a Dining room which in turn opens onto a landscaped terrace with a lovely view of India Gate. It also houses parking for 400 cars in 2 basements and 50 cars on the surface for visitors.